Run Away Enables sure getaway from wild Pok�mon. This Pokemon can always run from wild battles. Keen Eye Prevents the Pokémon from losing accuracy. This Pokemon cannot have its Accuracy lowered. Analytic* Strengthens moves when moving last. 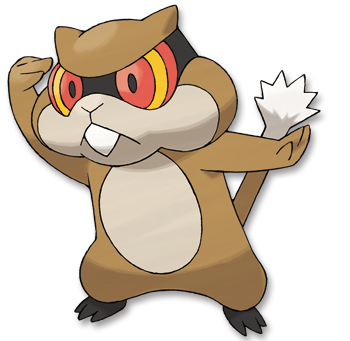 Black Using food stored in cheek pouches, they can keep watch for days. They use their tails to communicate with others. White Extremely cautious, they take shifts to maintain a constant watch of their nest. They feel insecure without a lookout.